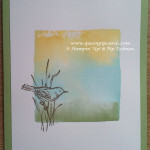 Hello my friendly stampers, I hope you’re making use of the wet weather to do some crafting. 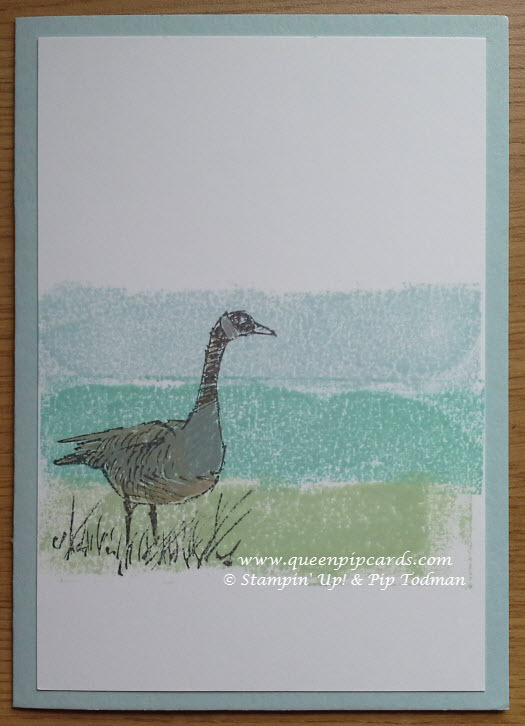 Today was my Watercolour and Wetlands class. I’ve been waiting for this one for a while so I could show off some new techniques and also just let my ladies have fun with inks and water. 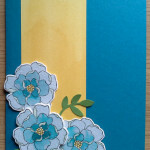 There were several techniques that I wanted to show them today, one is the ever popular masking tape technique which I spoke of in my Crafty Corner in my Newsletter in February, the other was a block background technique that looks like watercolouring but actually isn’t. 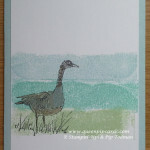 These are two really great techniques to very easily give a undefined, soft background to any stamp, they go very well with nature stamps I think. I’ll be putting a step by step guide to the block background in my next newsletter for those that couldn’t make it to class this month. 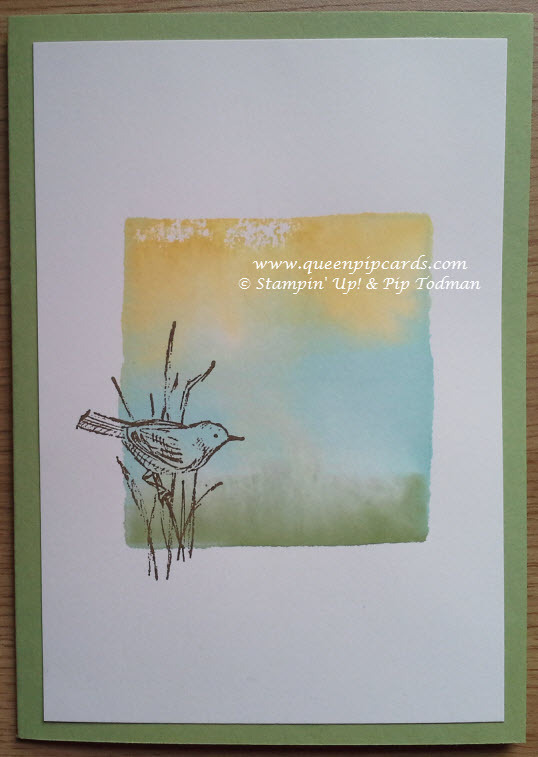 Watercolouring in itself is very relaxing I think, so I wanted to give some ideas using the Happy Watercolour stampset, which is in the Spring / Summer catalogue. I love this set, and it’s just designed with watercolouring in mind, whether it’s using the background stamps to “fake” it, or use watercolouring to actually colour the stamps, it’s great all round. 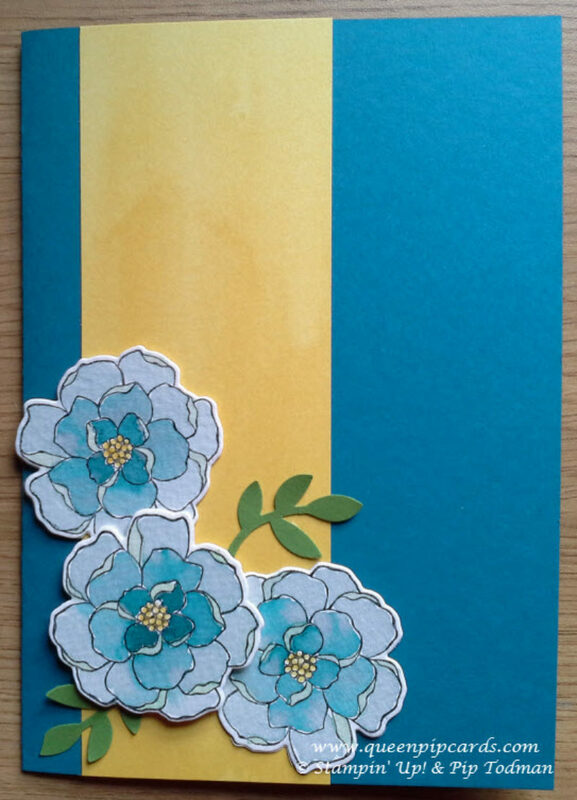 For a larger flower, I went for the middle sized flower from the Secret Garden set, which has matching framelits to give a clean and perfect cut out every time. 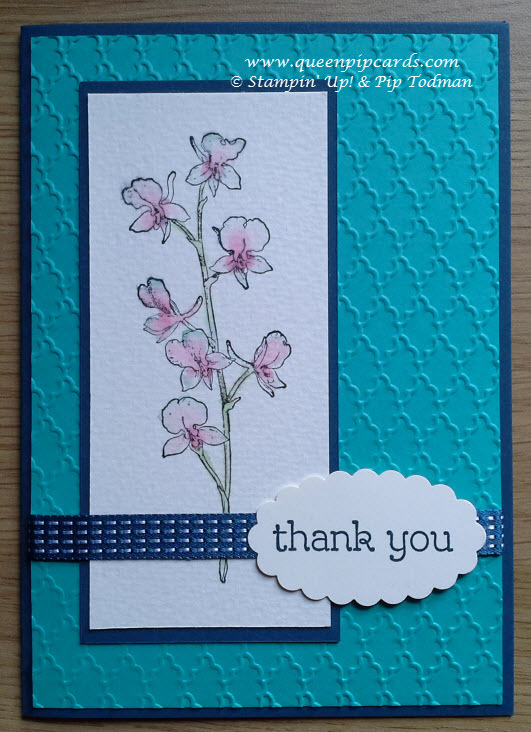 These flowers were coloured with just one re-inker (Island Indigo) and a Stampin’ Write Marker for the centres. Just by increasing or decreasing the amount of water to ink ratio gives such amazing differences. 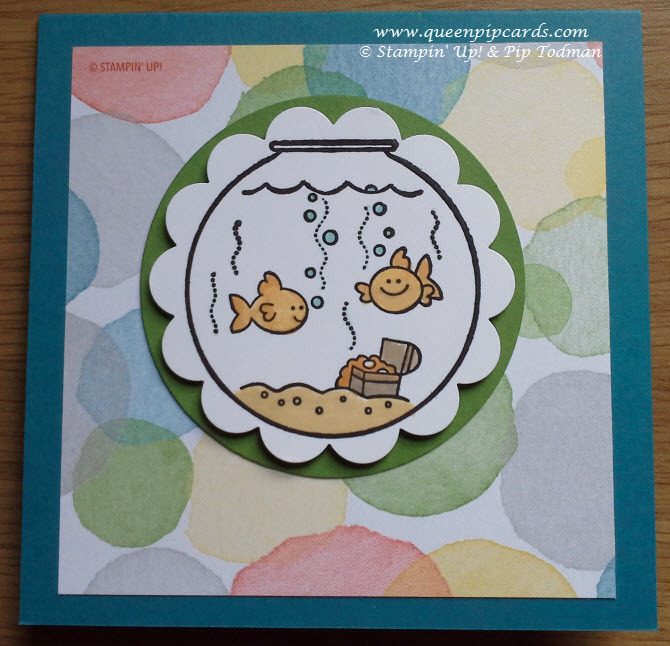 The Watercolour Wonder DSP adds wonderful bubbles to the background of the fishbowl card and also a great fluid sense to the Secret Garden card. 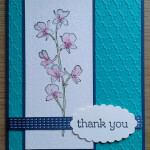 There are really beautiful papers in this DSP pack, it is one of my all time favourites I think from Stampin’ Up! 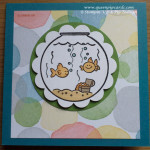 The Fishin’ Around stamp is one I fell in love with the first time I saw it, but I knew I wanted to use it in my watercolour class, so I haven’t had a chance to show it off until now – it’s sooooo cute!